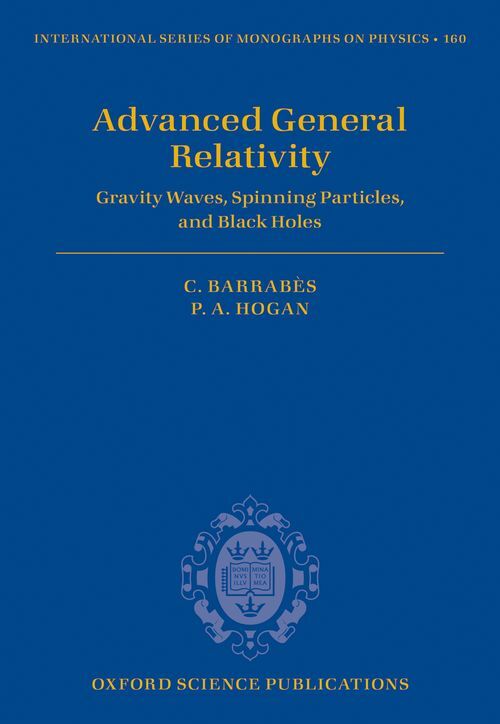 This book is aimed at students making the transition from a first course on general relativity to a specialized subfield. It presents a variety of topics under the general headings of gravitational waves in vacuo and in a cosmological setting, equations of motion, and black holes, all having a clear physical relevance and a strong emphasis on space-time geometry. Each chapter could be used as a basis for an early postgraduate project for those who are exploring avenues into research in general relativity and who have already accumulated the required technical knowledge. The presentation of each chapter is research monograph style, rather than text book style, in order to impress on interested students the need to present their research in a clear and concise format. Students with advanced preparation in general relativity theory might find a treasure trove here. C. Barrabes: Research Fellow previously: Departement d'Astrophysique Relativiste et Cosmologie, CNRS Observatoire de Paris-Meudon and Laboratoire de Mathematiques et Physique Theorique, UMR 7350-CNRS Universite de Tours. ; P. A. Hogan: Research Fellow previously: School of Theoretical Physics, Dublin Institute for Advanced Studies, Center for Relativity, University of Texas at Austin and School of Mathematics, Trinity College Dublin.